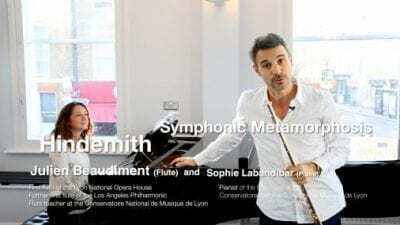 Renown flautist Julien Beaudiment brilliantly represents the French flute school. Born in 1978, he crossed the Channel when he was 18 years old, to study at the Guidhall School of Music in London with Paul Edmund-Davies and Averill Williams. He stayed there two years, before finishing his studies at the “Conservatoire National Superieur de Musique de Paris” with Sophie Cherrier, assisted by Vincent Lucas and Michel Moragués for Chamber Music. He successfully obtained the flute and chamber music awards. His studies enabled him to rub shoulders with other great professors, such as Vicens Prats, Maxence Larrieu, Jacques Zoon, Benoît Fromanger, Ramson Wilson, Joshua Smith. 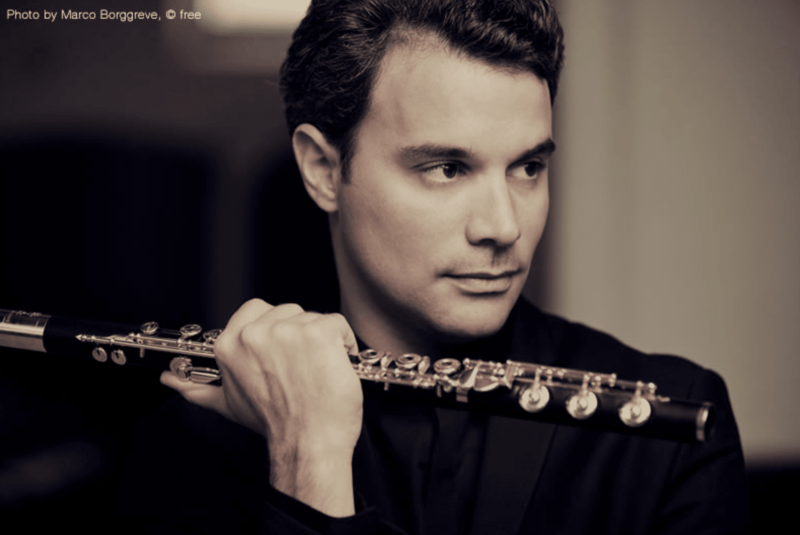 From 2005 to 2006 he was appointed principal flute of the BBC National Orchestra of Wales under Thierry Fischer and he temporarily took leave from his Orchestra in Lyon, which he rejoined the following year. 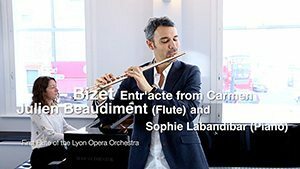 He is currently the only French flautist to have held this position in a great British Orchestra. 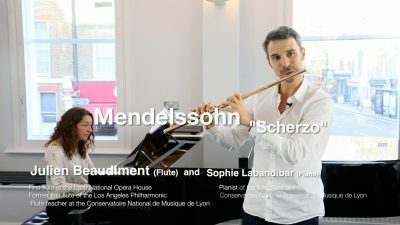 He is also a member of the “Faust wind quintet”, made up of talented representatives of the new generation of French woodwind players (Nicolas Baldeyrou, Nora Cismondi, Julien Hardy and Benoit de Barsony) and accompanied the famous dancer/choreographer Regine Chopinot and Benjamin Millepied, performing the Bach’s Partita the world over. He is regularly invited to play with the worldwide renown “Academy of Saint Martin in the Fields” in London with whom he plays in the most beautiful halls, besides Joshua Bell and Murray Perahia, to only name two. His particularly rich musical career has nevertheless left him time to teach. He is assistant teacher at the Conservatoire National Supérieur de Musique de Lyon” and artistic deputy at the “Haute Ecole de Musique de Lausanne”, in Switzerland. He also teaches in many academies: “Vanderbilt Academy” in Aix en Provence, the “Nice International summer Academy”, the “Bruges Academy” in Belgium, the “Academie Internationale des Arcs” and in many master classes in USA, Europe and Asia (China, Japan, Korea and Taiwan). His prestigious career has led him to closely collaborate with his instrument maker SANKYO, for several years now.